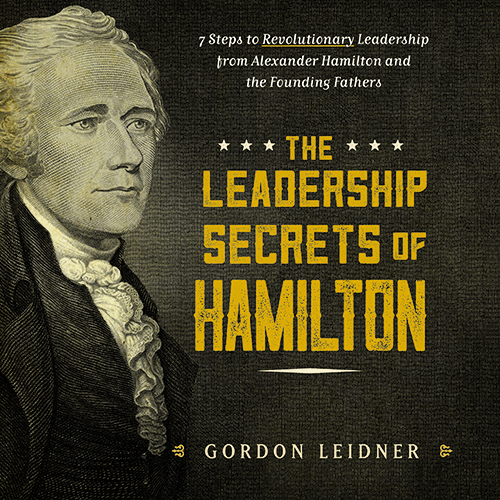 Great Leadership: Were the Founding Fathers Great Leaders? ü In a world where the rights of a monarch or a privileged few were all that mattered, the Founders resolved to establish a new nation based on the proposition that “all men are created equal.” They fearlessly accepted the risk of being hanged for treason and signed their names to the Declaration of Independence. ü In spite of the fact that every previous democracy had failed, the Founders created the world’s first surviving democratic republic which effectively balanced power between thirteen independent states and all three branches of their new federal government. Most people recognize the Founders as “revolutionary” leaders, but leadership theorists have a more descriptive term for them. The Founding Fathers, such as Alexander Hamilton, George Washington, Thomas Jefferson, James Madison, Benjamin Franklin, and John Adams are seen collectively as “transformational” leaders. Transformational leaders are the ones to call on when you need significant change. They are unique because they don’t just point the way to a goal, keep a project in the black, or manage day-to-day activities. They envision significant change and define it as “the right thing to do.” They exemplify moral integrity. They create appropriate goals, are honest and vulnerable with their followers, and establish an environment of trust. They are followed with loyalty and respect. Although George Washington was an experienced military leader, it was his unquestioned moral integrity that led Congress to appoint him Commander-in-Chief of the Continental Army in 1775. Long before he was chosen for this command, he had earned the trust and respect of all American citizens. It is impossible to be an effective transformational leader without the trust, loyalty, and respect of your followers. To achieve this, a leader must start with honesty. Honesty can be demonstrated in many ways, including one that people are reluctant to follow—admitting personal weaknesses. Fearing loss of respect, a leader may believe that it is advantageous to hide his or her faults. But admitting weakness not only encourages the respect of followers, but it also helps to establish an environment of trust, which is a key action for turning followers into leaders. After they decided to form a new nation based on the proposition that “all men are created equal,” the Founders boldly proclaimed their reasons for rejecting the king’s rule, and wrote the Declaration of Independence to describe their vision of democracy. Then, despite a powerful British army only a hundred miles away, they demonstrated their willingness to go beyond their own self-interest for the good of others, and signed their names to the proclamation. Transformational leaders today must first define their most important task. It must be something of lasting importance their followers will recognize as beneficial to other people as well as themselves. The transformational leader must be willing to put his or her “skin in the game,” and demonstrate how others will benefit at least as much as, and ideally more than, the leader will. After the United States Constitution was accepted by the Continental Congress and sent to the states for ratification, the Founding Fathers were surprised by the adverse reaction of the people. Where, the good citizens asked, were their “rights as citizens” defined? James Madison respected this request from the people and led the effort to generate a bill of rights—which were added in the form of the first ten amendments to the Constitution. There are many ways today for transformational leaders to show respect for their people. Ideally, they should try to develop personal relationships with as many of them as possible. They should treat followers as individuals, and attempt to understand their values, aspirations, and beliefs. Finally, transformational leaders should find ways to challenge their followers intellectually, and develop methods of integrating followers’ personal goals with the group’s goal. So, a return to our original questions yields two answers: yes and yes. The Founders were not only great leaders in 1776, but are still worthy of emulation by aspiring leaders today. Gordon Leidner has over thirty years of management and engineering experience in the aerospace and IT industries, and an advanced degree in Applied Management. 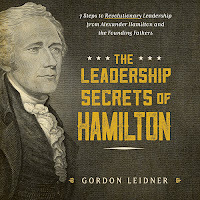 An author of many books and articles on American history, his latest book, The Leadership Secrets of Hamilton: 7 Stepsto Revolutionary Leadership from Alexander Hamilton and the Founding Fathers. For more, go to greatamericanhistory.net. I like your three points: integrity, unselfishness, and respect of others. These are traits that few seem to have today in leadership positions. No wonder Edelman"s trust barometer shows only 37% of employees trust their Ceos. Thanks Gordon for this post. I love your three traits. I would add one more: Boldness in Forward Thinking. The Founders were highly educated in the Scottish Enlightenment and were able to foresee the next step in the Scottish thinking, then boldly implement those things. While the three traits you mention will undoubtedly result in successful leadership, without this fourth trait, there is quality leadership but not, I believe, Great Transformational Leadership. Hence, I think those desiring to become great Transformational Leaders must also: 1- be well-educated in the best thinking (ie: Scottish Enlightenment vs. French Enlightenment); 2 - understand the evolutionary direction of that thinking and; 3 - create a plan to boldly implement that vision.